Stock markets closed on Tuesday (Feb 12) of the week with downward trend due mainly to price fall in large-cap securities despite higher transactions. The falling major sectors were insurance and food and allied. A total of 121 securities of the large-cap group moved down due to lower activities, reports BSS. 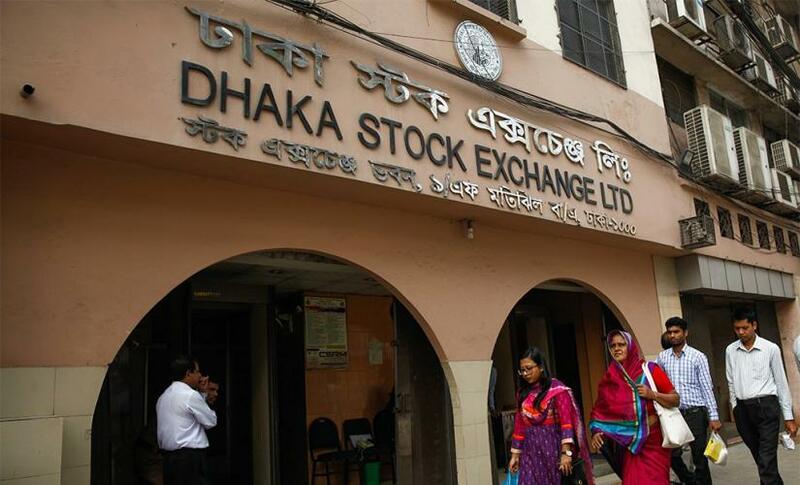 The broader DSEX index of Dhaka Stock Exchange (DSE) closed the day with 1.96 points down at 5,731.95. The Shariah DSES and the blue-chip DS30 also followed the same trend with 2.05 points down at 1,309.58 and with 3.23 points down at 1,999.79. The daily trade rose to 220.3 million shares from Monday’s 162.2 million shares and the day’s trade value at DSE increased to Tk 9.01 billion from Tk 7.19 billion of the previous session. At DSE, out of the day’s 348 securities, prices of 155 securities closed higher against 148 losing issues. The major gaining issues were Fortune, Global Insurance, BPML, Zaheen Spinning and FBFIF. The major losing companies were BNICL, Northern Insurance, Janata Insurance, Provati Insurance and Beach Hatchery. Fortune topped the turnover list followed by UPGDCL, BSCCL, Monno Ceramics and GP. The Chittagong Stock Exchange (CSE) closed the day of the week with downward trend with its major CASPI 20.42 points down at 17,554.01. At CSE, 268 issues were traded. Of those, 134 closed higher and 106 closed lower when 978.7 million shares worth Tk 298.2 million changed hands.